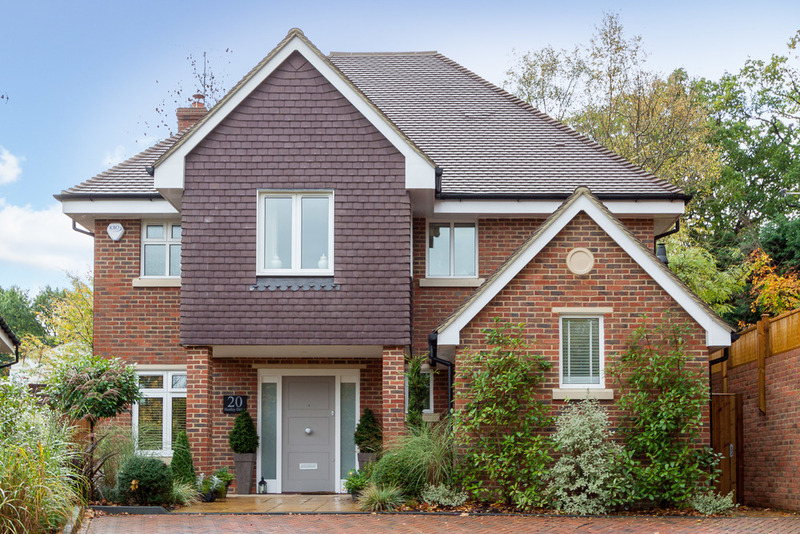 Henley Drive, a delightful residential road with a community feel is approached towards the end of Coombe Hill Road. This exclusive residential estate with opulent residential homes lies equidistant between Kingston and Wimbledon town centres. Both have excellent shopping facilities, from department stores housing concessions found in famous West End Streets and specialized boutiques to a wide range of restaurants meeting the palates from across the world. The A3 trunk road offers fast access to central London and both Gatwick and Heathrow airports via the M25 motorway network. The nearest train stations at Raynes Park and New Malden are within easy reach as is the 57 bus stop which is found towards the end of Beverley Lane within this estate. The 57 route which runs along nearby Coombe Lane West to Wimbledon, via Raynes Park, is probably a 10 minute walk from the house. From Raynes Park and Wimbledon Stations there are frequent services to Waterloo with its underground links to points throughout the city. From Wimbledon Station there are frequent services to Waterloo with its underground links to points throughout the city. The immediate area offers a wide range of recreational facilities including five golf courses, tennis and squash clubs and many leisure centres. The 2,360 acres of Richmond Park, an area of outstanding beauty easily accessed from Kingston Gate and Ladderstile Gate, provide a picturesque setting in which to picnic, go horse riding, jogging or just take a leisurely walk. Theatres at Wimbledon and Richmond are also popular alternatives to the West End. There are numerous excellent local schools for all ages, private, state, and a variety of international educational establishments, many of which being within walking distance. A beautiful and stylish four double bedroom home overlooking a wooded island on the prestigious Coombe Hill Estate. Situated at the end of a cul-de-sac with a thick woodland bordering many of the neighbouring properties, providing a very effective screen from the traffic The excellent accommodation is well laid out over three floors providing four bedrooms and four bathrooms to the first and second floors, whilst on the ground floor there are inter-connecting receptions across the rear with an extremely well equipped kitchen and breakfast area, separate study and guest cloakroom. Creative landscaped gardens provide an entertaining terrace and lawn surrounded by a selection of established shrubs and trees to the rear, whilst at the front there is a paved forecourt to allow parking for several cars with borders of mixed plants and shrubs accented by garden lighting at night. 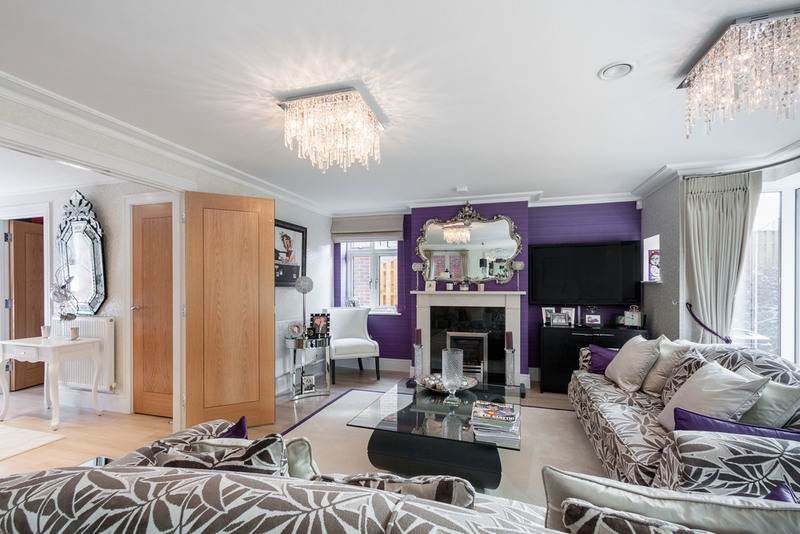 The current owners have carried out extensive modifications and improvements to the property that is first seen when entering through the newly fitted front door provided by the London Door Company. Upon entering the property the attention to detail and the high standard of interior design becomes apparent and this quality is visible throughout the property. The property is centrally heated by programmable, energy efficient gas central heating with individually controlled radiators, in addition there are roof mounted solar panels providing a valuable renewable energy source for the hot water. The kitchen, breakfast room and master en suite bathroom have electric under floor heating. The luxury modern fitted kitchen with stone work tops and upstands have been improved with the benefit of additional cupboards, a Quooker Instant Boil tap, and stainless steel sink with waste disposer. There is also a fitted wine/drinks refrigerator, fitted AEG double ovens, microwave, a 5 ring gas hob, fridge/freezer, dishwasher and coffee machine. Fitted blinds to the windows. The study has been fitted with bespoke shelving with a feature textured wall. The light and spacious sitting and dining room open onto the delightful rear terrace and garden with two sets of bi-folding doors. The sitting room is also further enhanced by the newly fitted gas fire with marble surround, granite slip and hearth. 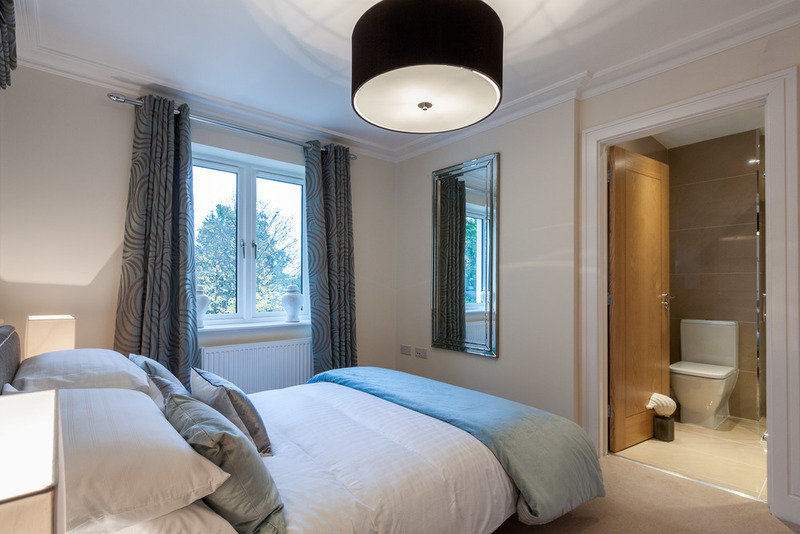 Upstairs the bedroom have all been tastefully decorated with the top floor bedroom benefitting from the addition of newly bespoke wardrobe cabinetry. 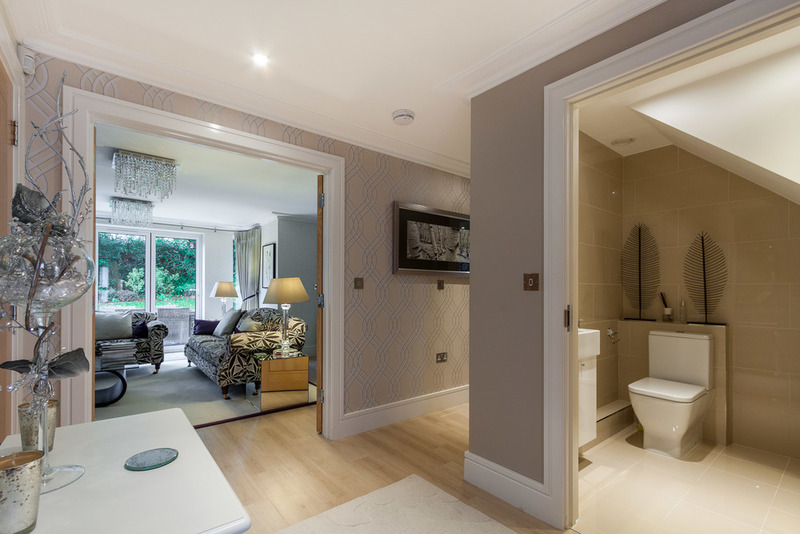 For the en suites, bathrooms and guest cloakroom, there is contemporary white sanitary ware, washbasins and baths with stylish chrome Hans Grohe taps and shower fittings with glass shower screens. Throughout the property there are ample provision of chrome finished electric sockets, telephone and TV points to the sitting room, study and each of the bedrooms, installation of Sky satellite dish. Overall this is a truly wonderful home ready to move into and enjoy all that the immediate area has to offer. Note: No warranty is given concerning this property, its fittings, equipment or appliances as they have not been tested by the Vendors’ Sole Agents. Measurements are approximate and no responsibility is taken for any error, or mis-statement in these particulars which do not constitute an offer or contract. No representation or warranty whatever is made or given either during negotiations, in particular or elsewhere. No part of this publication may be reproduced in any form without prior written permission of Coombe Residential Ltd. All rights reserved.